Massachusetts Mutual Life Insurance Company, better known as MassMutual, is one of the oldest insurance companies in the United States. George W. Rice founded the company in 1851 as a mutual company, or one that is owned by its policyholders. From its early beginnings, Massachusetts Mutual Life Insurance Company has grown to become a financial giant serving over 13 million clients worldwide. The company headquarters is located in Springfield, MA. MassMutual has offices worldwide including locations in the U.S., Japan, China, Hong Kong, Taiwan, Chile, Macau and Luxembourg. It is ranked 93rd in the Fortune 500 list with total assets of over $400 billion. MassMutual's financial and insurance products include life insurance, long term care insurance, disability income insurance, retirement planning services and annuities. Although Massachusetts Mutual Life Insurance Company is not a Better Business Bureau accredited business, it does have an “A+” BBB rating. While companies are under no obligation to seek accreditation, it is a good way for customers to see how a company handles and resolves any complaints presented. The company only had nine complaints registered over a 3-year time span. Gold Medal awarded by ContactCenterWorld for overall operations in the best large, in-house Contact Center category. Listed by Fortune as one of the world's most admire life and health insurance companies in the world. Named by Ethisphere as a World's Most Ethical Company. There are many options to choose from when searching for Term and permanent life insurance policies with Massachusetts Mutual. The term life insurance policy offers coverage for a specific period of time. Once advantage of purchasing a term life insurance policy is lower insurance premiums than a permanent life insurance policy.Permanent Life Insurance is a lifetime policy with flexible coverage and payment options. Whole Life Insurance – A lifetime protection policy with guaranteed premiums, a guaranteed death benefit and guaranteed cash value growth. Universal Life Insurance – A policy that offers flexibility with coverage amounts that can be increased or decreased. You can vary your premium payments based on your income as long as you have enough money to pay the monthly administrative and insurance fees. 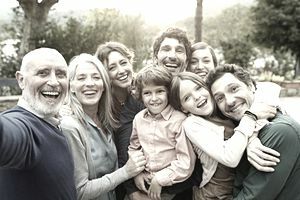 Variable Universal Life Insurance – Like the universal life policy, the variable universal life insurance policy also offers flexible premiums with an added ability to allocate premiums and account value into separate accounts. Survivorship Life Insurance -- This police offers you the option of covering two individuals under one policy. The death benefit is paid after both insureds have died. The cost for this policy is generally lower than having two individual life insurance policies. Wealth Management Services: Advisors are available to help you design and investment strategy to meet your financial goals. Financial Planning Services: A financial planner will help you create a customized financial plan to help secure your family’s financial future. Private Client Services: MassMutual’s professional team can help you with any estate planning and other trust management services needed. Massachusetts Mutual Insurance Company has stood the test of time and continued to remain one of the top life insurance companies in the industry. It has a solid record of customer service with superior financial strength ratings. Those looking for life insurance and retirement plans will find a wide range of policy options. You can visit the Massachusetts Mutual Life Insurance website to learn more about all its insurance products or call 1 (800) 272-2216.